He is very pleasing to direct to us to us to UD. In order to greet them very sincerely, simultaneously to make your available our Company of Transport of terrestrial load at national level for the different cities of the north, center, the south and it orients of the country. 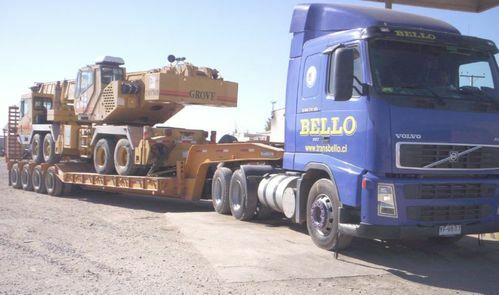 Eg: heavy machineries, medical equipment, advertising panels, construction equipments, medical equipment, movable of offices, containers and others. Also we declared to him that to our we realised it services in trucks of 10, 14 and 30 tons of capacity, also we are in service in bed-low units, and vans also we realised packing in jabas of wood, indented cardboard, in what UD You will have the security from which its merchandise arrives according to its destiny.